I’ve been drinking so much home made lemonade over the past couple of weeks I thought it would be downright rude of me not to share the recipe with you. The U.K. is currently in the grip of a sweltering heatwave, so I think it’s fair to say we’re all in need of something cool and refreshing! I’ve long been a huge fan of raspberry lemonade, but my interest in making it at home started when I read Diana Henry’s beautiful new book, how to eat a peach. The first recipe that jumped out at me and said “MAKE ME NOW” was the raspberry lemonade. It looked and sounded so good and as luck would have it, I had all the ingredients in the fridge to make a batch. So, on a very hot and sticky Saturday afternoon, I made some raspberry lemonade and took the photo above for the #rainydaybitescookbookclub on Instagram. I made it again the day after. And then I made it again the following week, tweaking the recipe slightly each time. 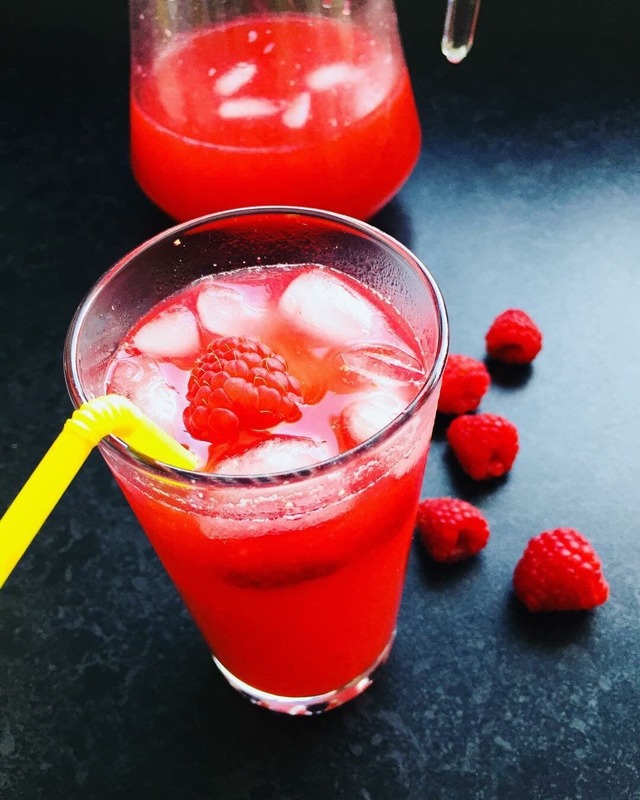 The recipe below is an adaptation of Diana’s delicious raspberry lemonade. You might need to add a little more sugar if you like sweet drinks, but for me it’s just right. 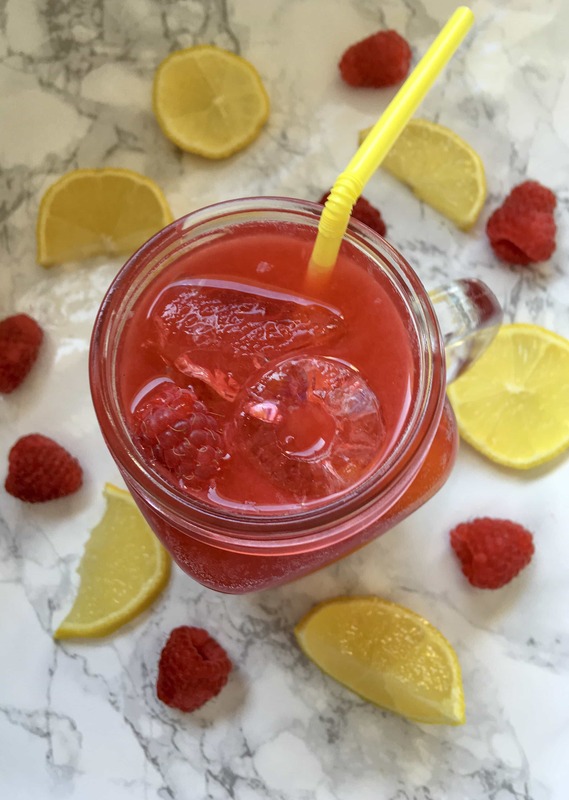 So sweet, zingy and refreshing - this homemade raspberry lemonade is the perfect Summer cooler! Place the raspberries in a bowl, sprinkle over 100g of the caster sugar and leave to macerate for about one hour. Once the hour has passed, pour the raspberries and their sugary juices and the lemon zest and juice in a food processor or blender and whizz until smooth. Pour the raspberry puree into a large jug and pour over the sparkling water. Taste to see if you want to add the extra sugar, then give it a good stir to mix. Serve with lots of ice, fresh raspberries and lemon wedges if you like!